This entry was posted in New Features and tagged Database Tools, Derby, Maia. Bookmark the permalink. BTW, PostgreSQL support is on the roadmap?? Ooh – Derby support is nice. Any roadmap plans for MS SQL Server? There’s a fair number of enterprise Java applications running against that..
Interesting…. how do you do the “change Oracle dialect to…”? its that in house code or do you leverage an open source library? While we’re asking for more dialect support, how about DB2? 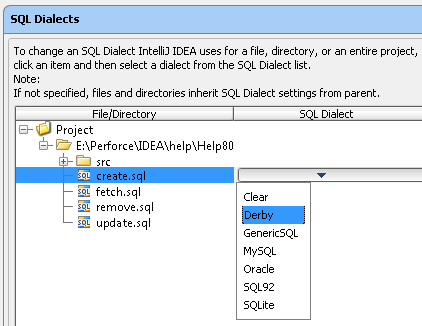 Or are DB2 and Derby close enough?